Sustainable tourism is part of our commitment. 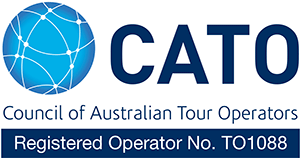 As a responsible tour operator, we make sure our local partners have a green and certified operation. In our products, Mantaraya Lodge, M/V Manatee Amazon Explorer and M/V Anakonda Amazon River Cruise, we implemented the best practices for sustainable tourism available to us; this practice involves activities to preserve the environment, share the benefits to the local communities and our team. Responsibility, ethics, good quality – these are our pledges to our guests. The Amazon holds the single most astonishing faunal and floral community on Earth, the largest variety of plants and animals found in a single territory anywhere, including many beguiling representatives that baffle the imagination in terms of their often unbelievable behavior and biological realities. 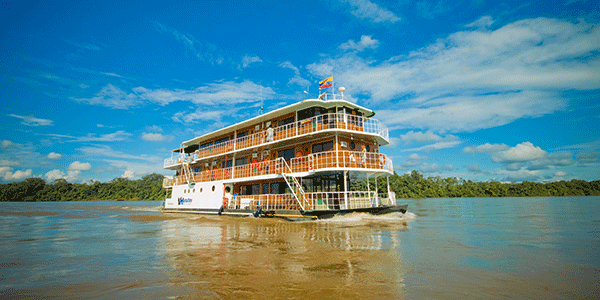 Travel on board the M/V Anakonda Amazon River Cruise, the only luxury ship in the Ecuadorian Amazon Rainforest, and experience the Amazon in a most unique way! Visit the remote and pristine areas where few have had the opportunity to travel, and interact with the region’s 15 local communities, while enjoying the comforts, commodities and services of a 5-star boutique hotel on board with us in the middle of the Ecuadorian Amazon. Our 40 guests aboard the 148 foot-long M/V Anakonda Amazon River Cruise may enjoy a wide variety of wine and fine dining, complete with the all-inclusive comfort of a five-star boutique hotel. Our 18 suites, each with an area over 215 square feet, feature sitting areas, large and comfortable beds, and wall-to-wall panoramic windows. The observation deck with the outdoor Jacuzzi and our al fresco lounge are ideal places to have a cocktail, to relax with a good book or simply enjoy the spectacular view. The M/V Manatee Amazon Explorer takes up to 30 passengers into the most pristine areas of the Ecuadorian Amazon, where they are able to experience the natural wonders of wildlife undisturbed by modern life. Our 30 guests aboard the 98.5 foot-long M/V Manatee Amazon Explorer may enjoy a wide variety of wine and fine dining, complete with the all-inclusive comfort of a first class hotel. Our 14 cabins are fully equipped with all necessary commodities. Travelers may book four, five, or eight-day cruises. All departures are guaranteed.